Road trips are fun, especially if u plan to travel with your close friends or families. When I think of road trips the one which comes to mind is the trip to Yosemite national park. This was my longest road trip from LA to Yosemite National park. Which took almost 12 hrs drive. The good part of the trip was there were 3 other families with us. We all had lot of fun with the yummy food which we took with us. Now coming to the theme and today's post. If you are planning for a long drive its good to have some snacks or food which can be stored for longer time. One such snack item is Thepla. There are many kinds of thepla, the one I made today is Methi Thepla. It can be had as a snack or it can be had as a breakfast too. 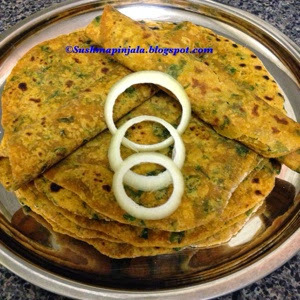 These thepla's which look like roti can be stored for up to 3 days. 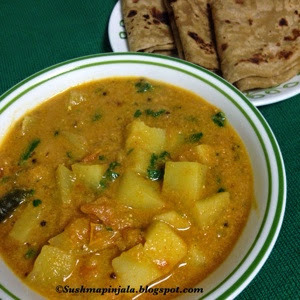 The roti's are soo flavorful that you do not need any chutney or curry to have with it. Just roll the roti and enjoy. Mess free snack and filling snack too. Wash thoroughly and chop the fenugreek leaves. All all the ingredients in a large bowl and mix well. Now add enough water to make a soft dough. Cover and let the dough rest for 10 minutes. Now divide the dough into 15 equal portions. Roll each portion into circle using dry wheat flour. Heat non stick pan and cook each roti on both sides. Use very little oil on both sides to cook. Serve hot or store in air tight container to later use. 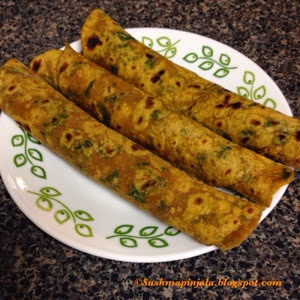 You can store these thepla / roti for upto 3 days. Click here to see what my fellow bloggers are cooking for BM 46. Very tasty and yummy car snack. I would love to carry this with me...healthy and mess free! Even i carry theplas, lovely choice.. 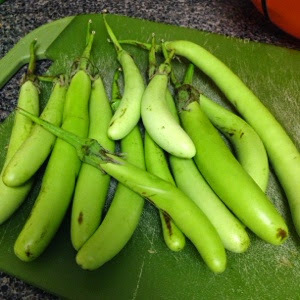 Perfect cat snack...the Gujrati 's can never dream to travel without it. perfectly made methi thepla dear :) You are tempting me now where shall i go for such delicious methi thepla !! A yummy and non messy car snack. Theplas are just perfect to carry on long trips. Yours look delicious.